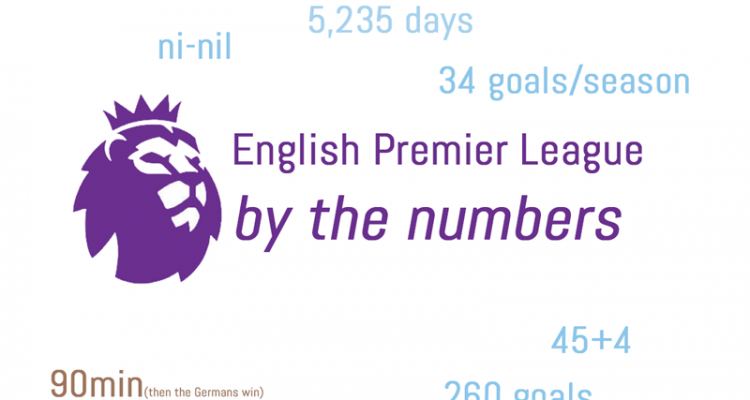 EPL by the Numbers 2018-19 #24. Click for more. The Champions League kept giving us surprises last week with Man City actually firing in 10 goals in aggregate after their 7-0 thrashing of Schalke and then Juve turning things around in Turin to advance 3-2 on aggregate. Liverpool played an excellent match at the Allianz and ultimately left 3-1 victors after a 0-0 draw at Anfield. And then a less unpredictable result concluded things with Barça winning 5-1 after a bizarre 0-0 draw last week. The Europa League saw Arsenal recover from their shocking first leg loss by beating Rennes at the Emirates 3-0 to win 4-3 on aggregate. Chelsea cruised 5-0 (8-0 on aggregate) past Dynamo Kyiv, Benfica came back to beat Dinamo Zagreb 3-1 on aggregate, and Villareal completed a bad day for Russian or former Soviet Union sides 2-1 (5-2 in total). The big surprises included Sevilla going out to Slavia Praha 6-5 on aggregate after the home side scored in the 102 and 119th minutes of extra time and Inter Milan failing to score over two legs and thus being knocked out by a home 1-0 loss to Eintracht. The quarters pits Arsenal against Napoli, Benfica against Eintracht, Slavia Praha – Chelsea and Villareal – Valencia. In the league, it was an abbreviated weekend with the FA Cup quarters postponing half of the matches, but not without some big results as Liverpool went top with their 2-1 victory over Fulham, Chelsea were shock losers at Goodison Park and Newcastle earned a valuable point in stoppage time to move closer to safety. City, of course, have a game in hand, but the pressure is on as Liverpool also closed the goal difference gap to six. The FA Cup quarters saw Watford score late to beat Crystal Palace 2-1, City come back to beat Swansea 3-2 (though the winning goal from Sergio Agüero shouldn’t have counted) and Wolves scalp another top side with a 2-1 win over United. On Sunday, Brighton got past Millwall 5-4 on penalties, after a 2-2 draw. Looking at the final four, is anyone going to bet against, at minimum, a cup double for City? In Italy, big news as Juve lost and Napoli won to draw within a completely manageable 15 points (just kidding). In Spain, Barça won 4-1 at Real Betis, Sevilla won 1-0 at Espanyol (with both sides seeing red), Atlético lost 2-0 at Athletic Balbao and Real won 2-0 over Celta Vigo. That leaves Barça with a 10-point lead with 10 to play. Bayern Munich is still even on points with Dortmund, but extended their goal difference lead to 7 and PSG only need 7 points from their last 10 matches to win Ligue Un again. 2 – For the first time under Ole Gunnar Solskjær, Manchester United have lost two matches in a row, the first last week to Arsenal 2-0 and then Saturday, in the FA Cup quarterfinals, to Wolves 2-1. 2-0 – It will be a season to forget for Real Madrid, but the last two and a half months will be key to who stays and who goes and Isco and Bale did remind their returning manager Zidane of their value, with both scoring in a 2-0 victory over Celta Vigo. Thibaut Courtois, on the other hand, will have to wait for another day, as the struggling keeper was benched by the Frenchman. 3 – Juve looked dead and buried after being blanked 2-0 by Atlético at Jose Calderon stadium, particularly given their defensive record over the past few years. But you might have heard that Juve picked up a guy who has won four of the last five Champions League crowns. Well, that guy is called Ronaldo and he came up with a hat trick to pull Juve into the final 8 on aggregate 3-2. Kind of impressive stuff for the new kid. It was not the first time that Atlético Madrid suffered at the hands of Ronaldo and one guesses it won’t be the last. If Juve do raise the Champions League trophy this season, Ronaldo’s case for best ever will only grow stronger. 3 – The Spurs’ season has been unraveling of late if you hadn’t noticed, even with their advancement to the quarters of the Champions League. Well things might have just gone from bad to worse as, over an 11-day stretch they will have to play City three times, twice in the quarters of the UCL and also in the league. It might be good news for Liverpool, though, who face Porto in their own quarterfinal matchup and can root for Spurs to wear down their only real, but very real, competition to win the league title that has eluded them for almost 30 years. 4 – Wolves keep getting positive results against the Top 6 and might be the biggest potential impediment to City winning the FA Cup again. In that competition, they have knocked out both Liverpool and United. In the league, they have earned draws with Chelsea (just last week), at Arsenal, at United and against City and beaten Tottenham (3-1) and Chelsea (2-1). That’s four wins and four draws for the mathematically impaired. And that has been done on a total annual salary of under 40 million pounds! 4 – Leicester had to play a man down after only 4 minutes, as Harry McGuire saw a straight red with 86 minutes plus extra time to play. However, they won their second on the bounce under new boss Brendan Rodgers 2-1 at Burnley, with Wes Morgan providing the winner in the 90th minute after James Maddison’s 33rd minute opener was cancelled out by Dwight McNeill 5 minutes later. Burnley sit only 2 points above safety, after their fourth loss in a row. A fourth minute red card seemed harsh, but Wes Morgan came to the rescue late. 11 in 11 – Sadio Mane went through a bit of a midseason slump, but has gotten hot again, with 11 goals in his last 11, including 5 in his last 3, with braces against Bayern and Burnley and the opener in the nail-biting 2-1 win against Fulham. 13 – James Milner scored his 13th penalty in his last 14 in the league Sunday to restore Liverpool’s lead en route to a huge 2-1 win over Fulham after his error helped the Cottagers equalize. 17 – Wins by Mikaela Shiffrin this season as she won her final race of the season in the Giant Slalom to complete what many believe is the greatest season ever by a professional skier. The old record was 14 wins, which had stood for three decades, and her 2,204 total points was also the most ever accrued. That ultimately gave her four crystal globes and her first in that discipline. Shiffrin won her first Giant Slalom World Cup title and strengthened her own case for GOAT in the world of skiing. 17 – North Carolina became a number 1 seed in the NCAA Men’s Basketball Tournament for the 17th time, a record. They were joined by Duke, the overall #1, Virginia and Gonzaga. The tournament starts Wednesday, though it really gets going Thursday and Friday. 79 – Watford had forged ahead with a goal from Capoue in the 27th minute, only to see Crystal Palace draw level through Batshuayi in the 62nd minute. But the home side is through to the semifinals after supersub Andre Gray scored the 79th minute winner minutes after coming on. 84 of 85 – Barça was digging through the record books last week and realized Lionel Messi has beaten 84 of the 85 teams he has faced in his career, at least once. The one side he hasn’t yet tasted victory against? UDA Gramenet. Unfortunately, Barça would have to be relegated twice and switch leagues to give him a chance to eradicate that rather large smudge on his record. That side now plays in the Segunda Catalan División, if you’re wondering. 88 – Sergio Agüero was the late hero for not the first time at City, scoring the winner in the 88th minute to complete a comeback from 2-0 down against Swansea. Silva scored the first for City in the 69th minute and an own goal equalized things in the 78th. As mentioned above, the goal should have been disallowed for offsides, as can be seen below. VAR cannot come soon enough, with yet another mistake in a season littered with them. 94 – Last week Newcastle came back from 2-0 down to beat Everton 3-2. This week, a 94th minute equalizer from Matt Richie earned them a point at Bournemouth. They are now on 35 points and in 13th place, looking likely to stay up at this point. 430 – Million dollars for Mike Trout over 12 years with the California Angels means the record for biggest sports contract in history has been broken three times in just over a month. Trout, unlike Bryce Harper if we are to believe the metrics prognosticating abilities, is probably worth the money as not only the best player in baseball but, at age 27, arguably one of the greatest of all time. 477 – When Barça swept past Lyon last week in the champions league, Lionel Messi tied Xavi on 476 total wins in a Barça shirt. On Sunday, he broke it in a 4-1 win at Real Betis. 499 – Minutes it took Everton to finally score a goal against Chelsea, which is over 5 full games! It was a rebound of a nice save from a Calvert-Lewin header put in by Richarlison. Everton went on to win it 2-0 to make it 4 losses in Chelsea’s last eighth league matches after three in their first 22. The loss put a dent in their Top 4 hopes, though they are still only four points from Spurs in third. It was the first win for Everton against the big six in over two seasons, by the way. Richarlison’s header might well be the moment Sarri’s fate as the next ex-Chelsea manager was sealed. 1907 – The last Frenchman to win a major championship in golf did so over a century ago, when Arnaud Massy took home the Open Championship. Seems unlikely to change any time soon, but just saw that and wow! 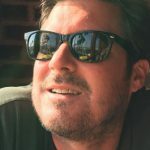 No Comments on "EPL by the Numbers 2018-19: Match Week 31, Liverpool back top & quadruple still on for City"